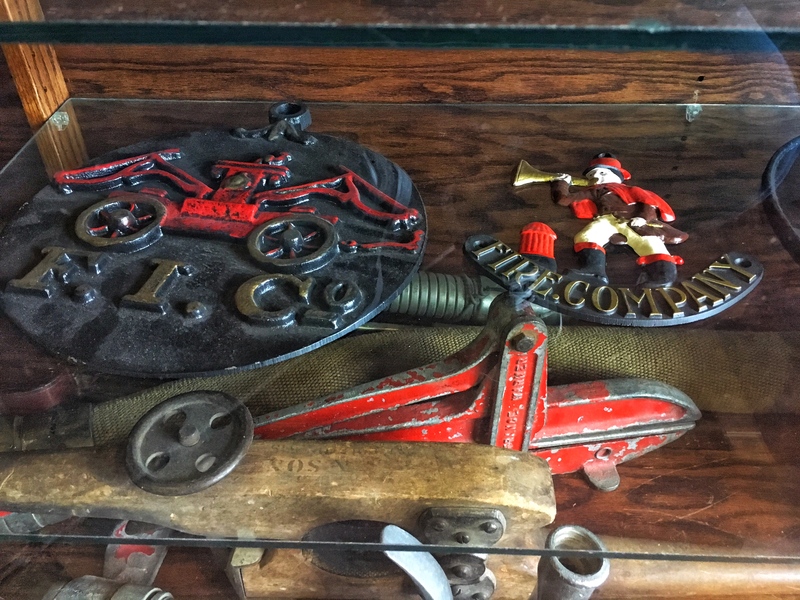 I never pass up on an opportunity to see old vehicles. I don’t even know why I find them fascinating, but I do. 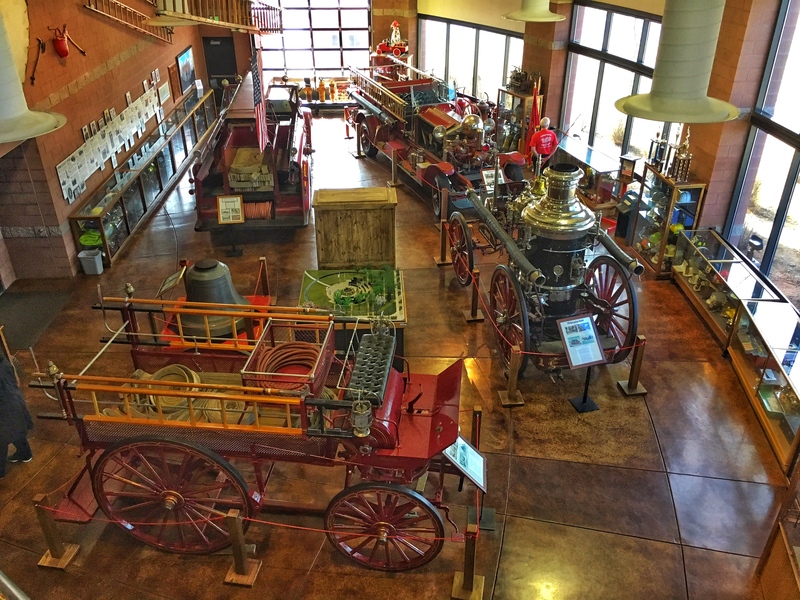 This small museum houses a couple old firetrucks and some even older wagons. 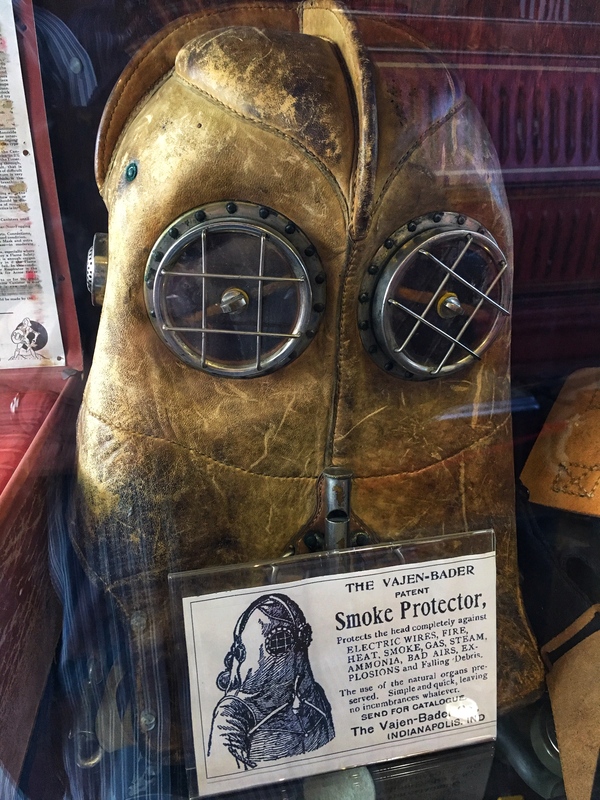 It’s only open on weekdays, so we hadn’t been able to see it on any of our weekend adventures. We wandered by after leaving the Broadmoor. 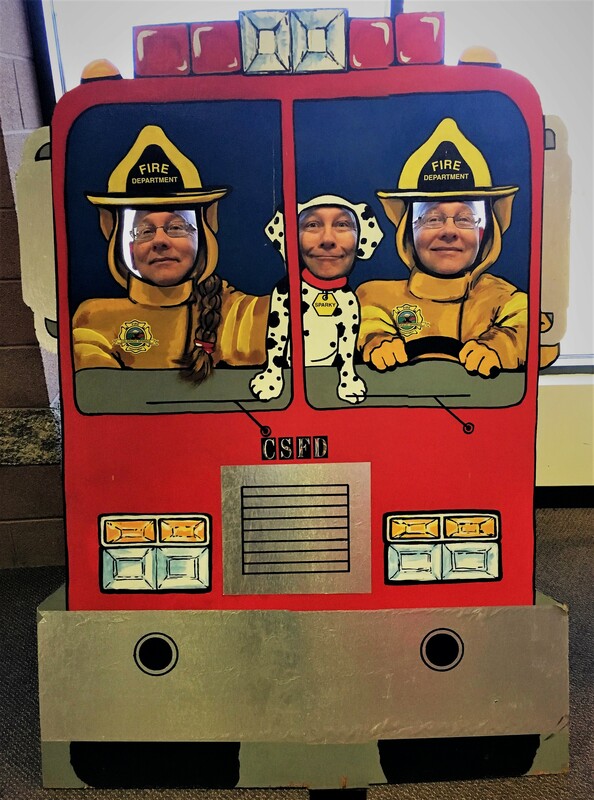 The museum takes up one room in a fire station. 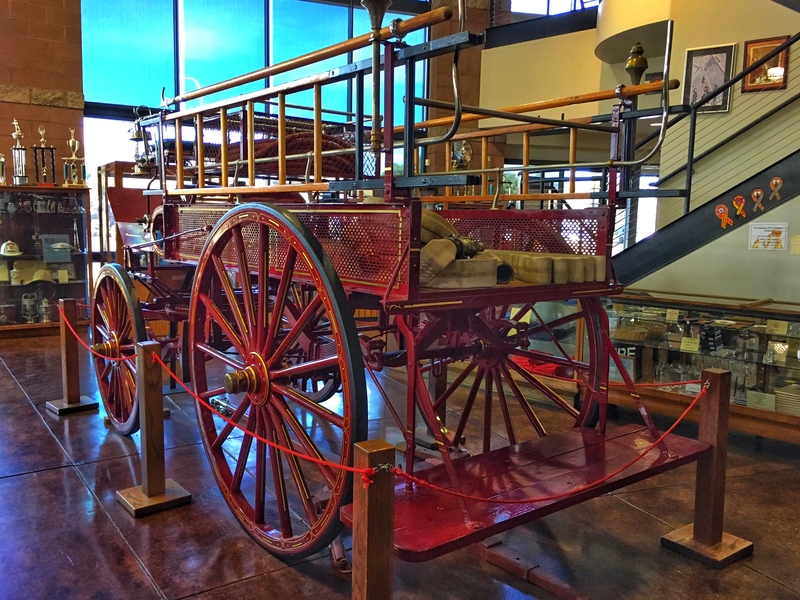 The four vehicles are (clockwise from upper left), a 1945 American LaFrance Pumper; a 1926 Ahrens-Fox Pumper; a 1898 Metropolitan Steamer, and an 1898 Hose and Chemical Wagon. As far as I know, all four were used in Colorado Springs. 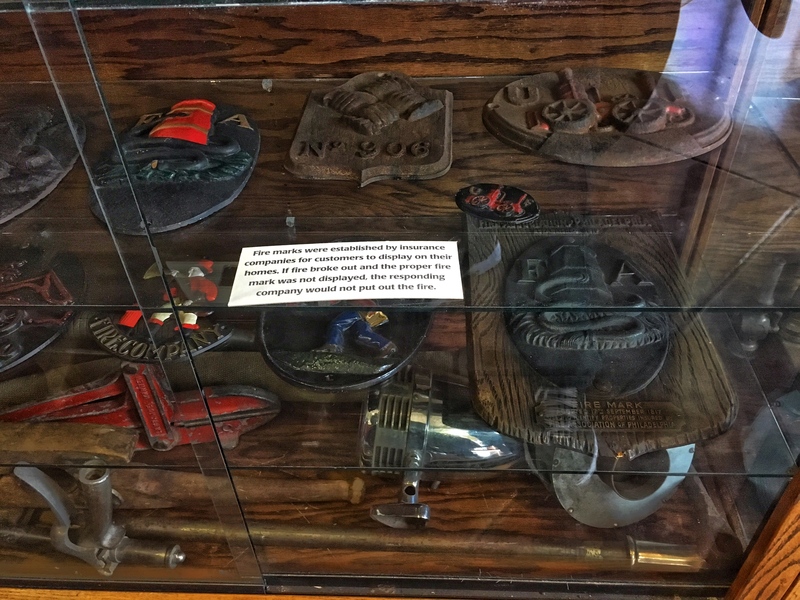 Display cases housed a variety of fire-fighting equipment, most of it unlabeled. 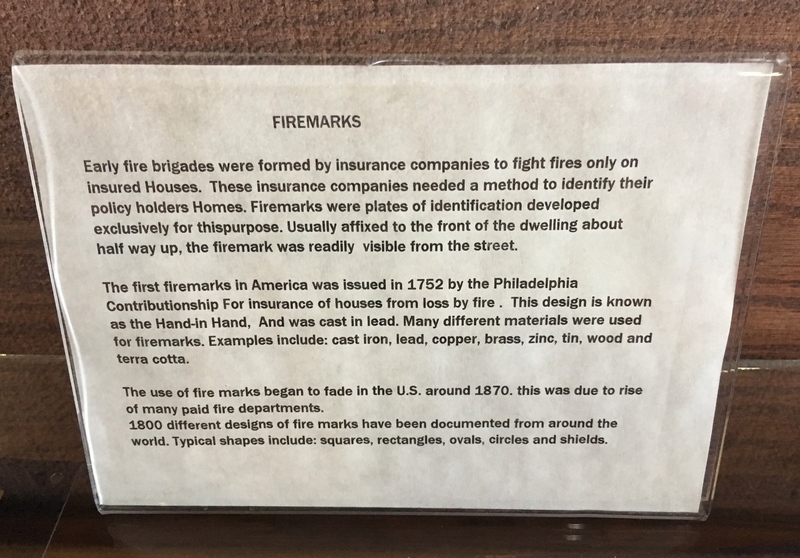 The most interesting bit for me and worth the price of admission (it was free) was a display on fire marks, which I had somehow never heard of. While you’re learning about them, enjoy the creative use of capital letters and sentence structure. 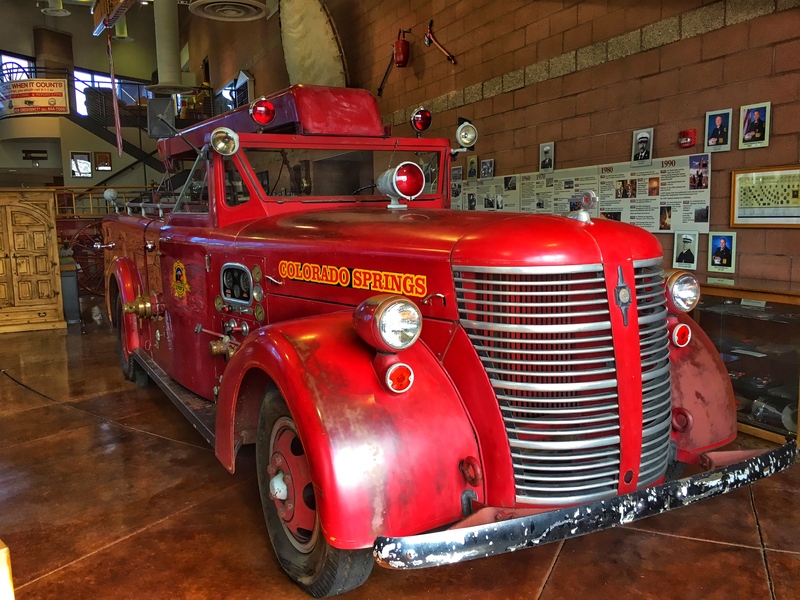 The inner wall displayed a history of fire fighting in the Springs. 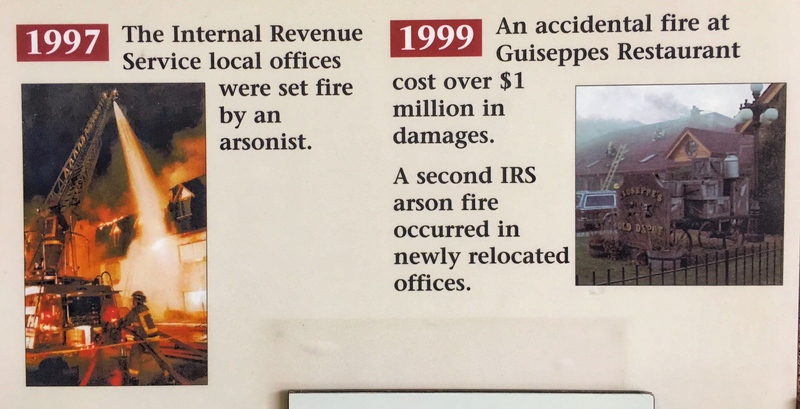 Sally found this bit on the local IRS office. There wasn’t a lot to the museum, and we didn’t stay long, but what was there was worth stopping in to see on a lazy morning.